Scott comes to VCC with a background in conservation in both the nonprofit and government sectors. 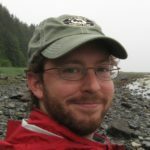 He has previously worked at Shenandoah National Park, the Alaska Public Lands Information Center in Fairbanks, and at Yosemite National Park where he studied visitor use impacts and crowding. A former VCC volunteer, Scott has also volunteered with the Virginia Outdoors Foundation, Shenandoah National Park, Yosemite National Park, the Conservation Trust for North Carolina, and the LandTrust for Central North Carolina (now Three Rivers Land Trust). Scott holds a Master of Environmental Management from Duke University, a Master of Fine Arts from Virginia Tech, and graduate certificates in Nonprofit Organization Management and Geospatial Analysis. In addition to his Associate Director position with VCC, he serves as Vice President of his family’s healthcare IT company, headquartered in Sperryville, VA. Scott is eager to expand the size and diversity of VCC’s membership while simultaneously building upon past successes to protect even more land and water in the greater Shenandoah Valley region.